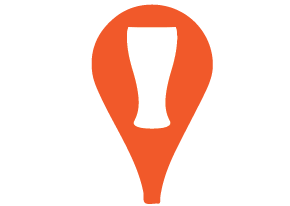 ﻿ PubRally - Free Bar Crawl App | Get the party started! With the pub crawl phenomena surging and currently drawing millions of glass raising fans, it’s time to go digital. Whether you plan a private crawl with close friends or a monster public crawl with thousands of distant relatives, there’s a new app for that. 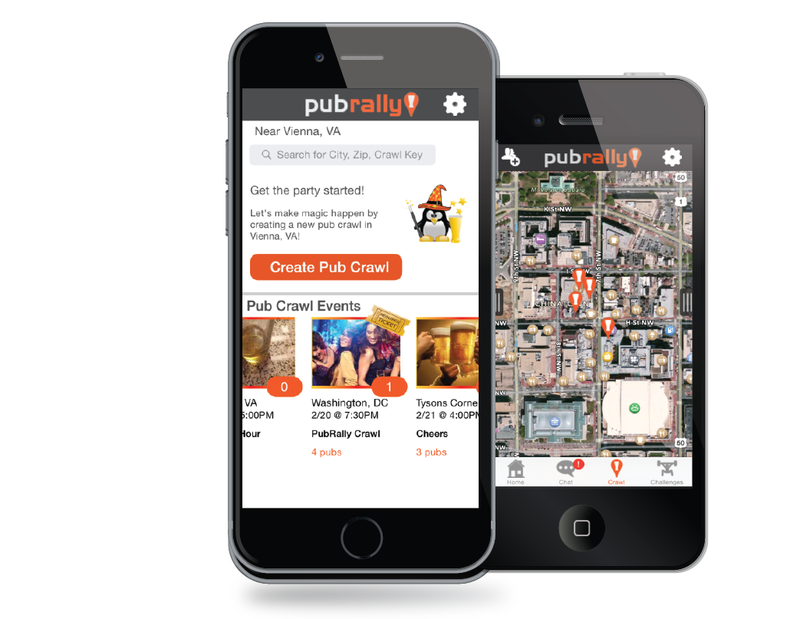 PubRally™ keeps the fun on track when the action pours across town. Large or small, use PubRally for your crawl. 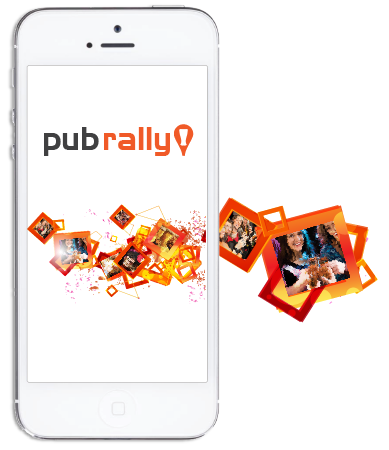 PubRally™ is the first app in the category to create a fully authentic digital bar crawl experience. 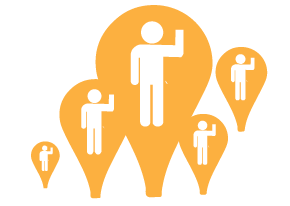 Crawl organizers create custom public or private crawls and invite people to participate. 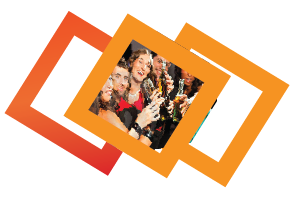 Anyone can join a public crawl and everyone keeps in touch using the integrated messaging feature to post pictures and text. No catch, really! Anyone can use it. 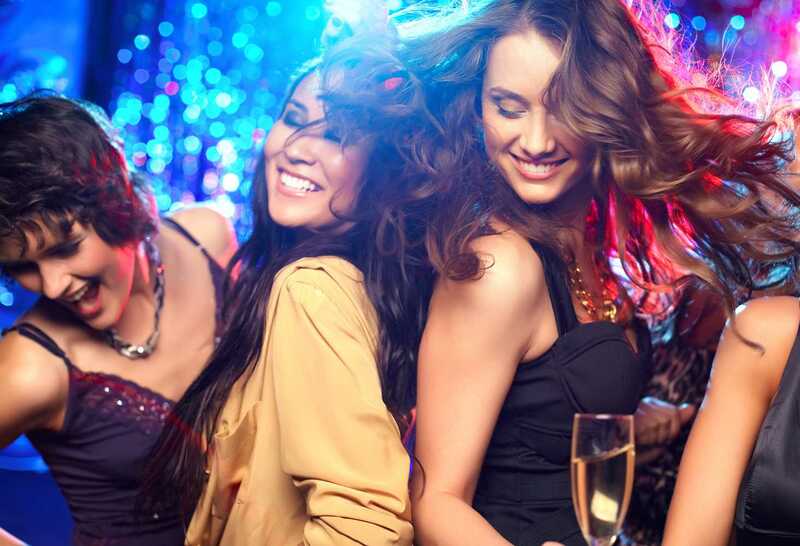 Plan, invite, share - it’s that easy. PubRally™ uses special low-draw battery GPS tracking to follow the crawl so you don’t have to worry about losing anyone or getting lost. 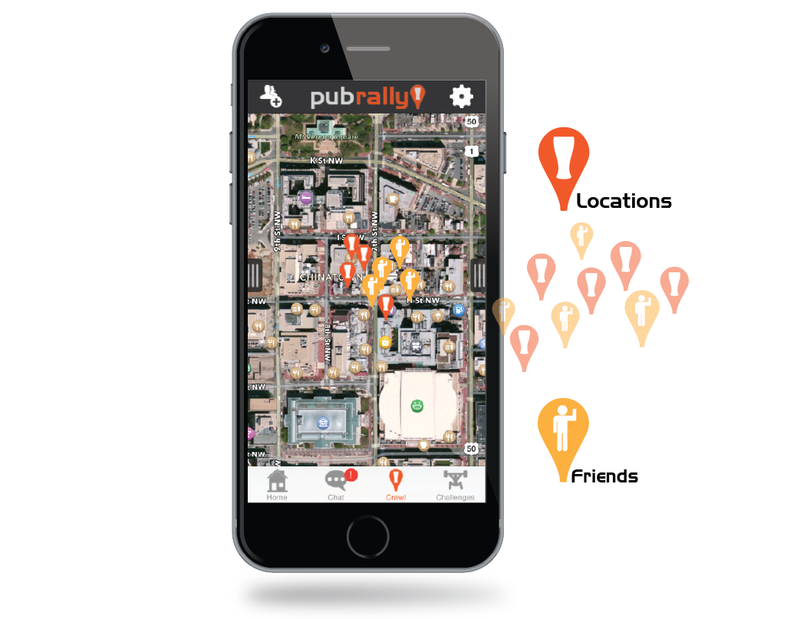 PubRally™ has a built-in “Rally” feature that can herd the gang to a common rally point. Unique auto-formed Rally Messages remove the stress of spelling as beverage consumption increases. The best part about PubRally? It’s free! 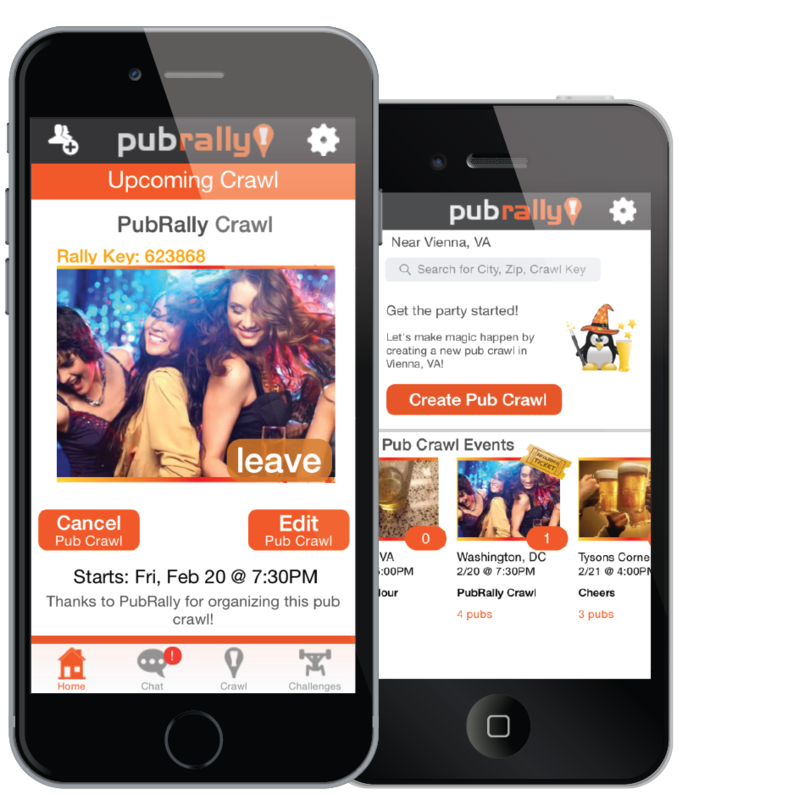 Crawl organizers create custom public or private crawls and invite people to participate. 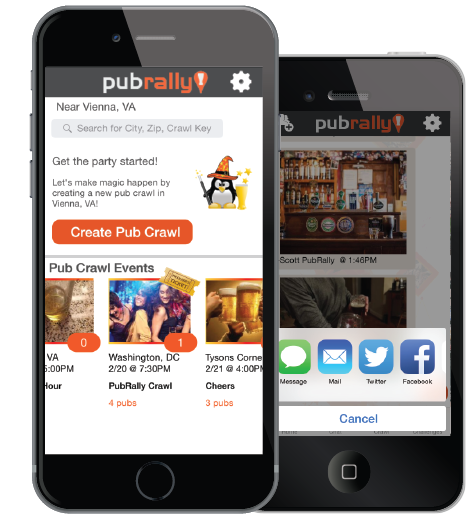 PubRally™ tracks pub to pub flow and keeps everyone connected. Stragglers need never worry, with PubRally™ it’s easy to catch up when fellow crawlers move on, and just as easy to linger behind at a favorite stop without becoming detached. Everyone keeps in touch using the integrated messaging feature to post pictures and text. Want to stay up-to-date and get the latest from PubRally and new feature updates? Then sign up and join us. We will never ever share or sell your email address. Ever!